It's one of my favorite times of the year again! I didn't think my rhubarb was tall enough to pick yet, but I was mistaken! When I actually took a look at it I was so happy to see it was ripe for the pickin'! So I spent yesterday morning picking and trimming the rhubarb while the kiddos played in the clubhouse outside. I got it all inside and washed and then suddenly I was sad! Whenever I picked rhubarb before I immediately make some jam and a pie for my Grandpa to enjoy with us. But...his body finally gave up and we celebrated his life with a funeral (or "the event" as he referred to it while planning) just last Thursday. It was definitely one of the saddest days of my life. I have lost three of the most important role models and caregivers I have had in my life, and it gets easier. I know that. It already is. 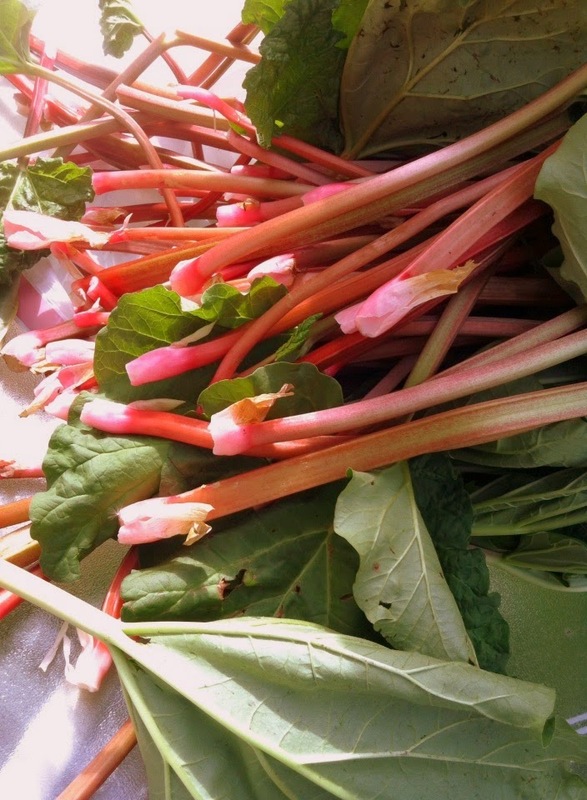 However, I had gone about two days without getting weepy and emotional, but when I stared at my rhubarb all trimmed and ready to be made into something delicious, I cried. Seems dumb, believe me I know! 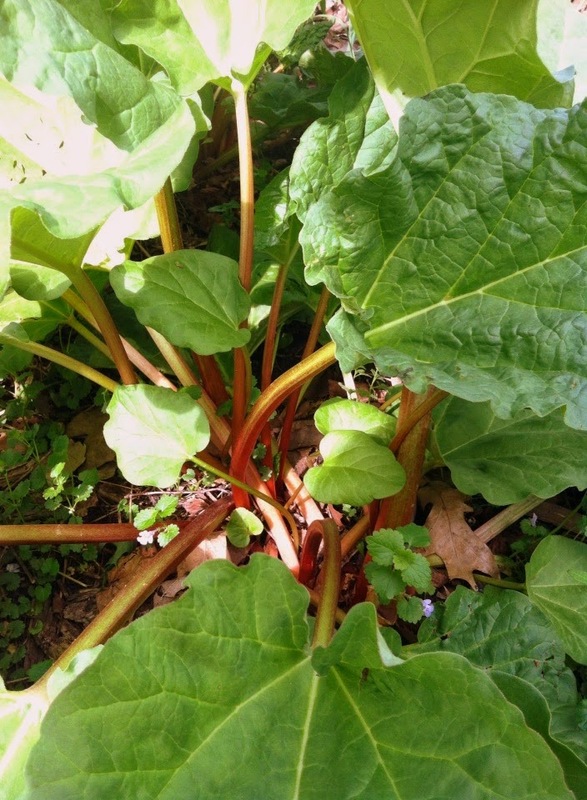 But this was the day every spring that my Grandpa looked forward to since I started experimenting with rhubarb. Needless to say, I didn't feel like making jam. Or a pie. Not just yet. So I decided to try something different. 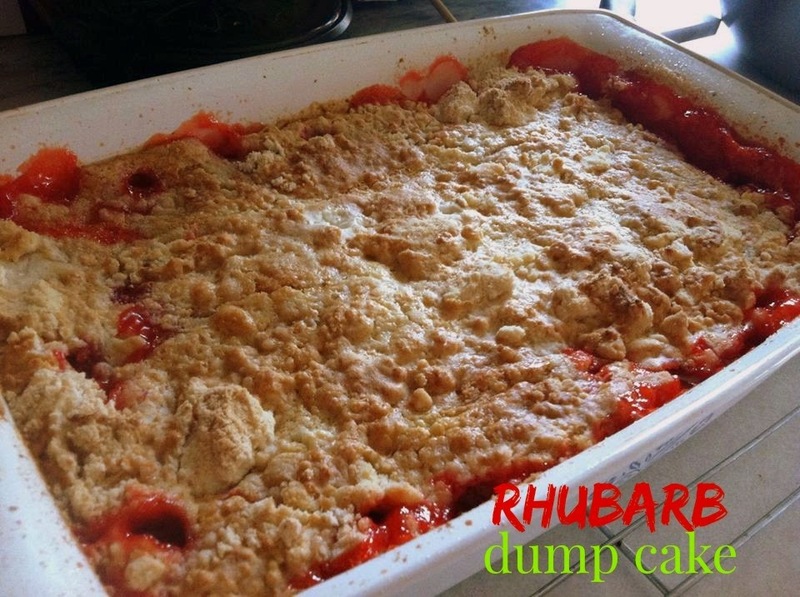 I have a recipe in one of those church cookbooks for a rhubarb dump cake. It seems like a pretty basic recipe. Which is typically how dump cakes go. 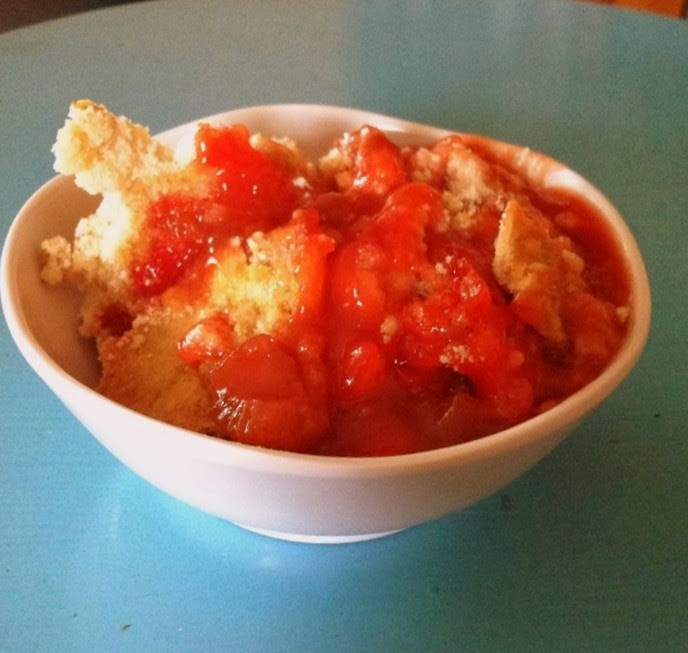 I gave it a whirl and of course it was totally easy and awesomely delicious! I didn't have any strawberry jell-o on hand like the recipe calls for, I had a tropical fusion flavor and it came out tasting just fine! I also used a Corning casserole dish, which isn't quite a 9x13 size, but it worked out just fine. And I just have to share...look how beautiful all that rhubarb is cut and placed in the bottom of the dish! Top with some vanilla ice cream while the cake is a bit warm and you are in for a wonderful dessert! Grease the bottom and sides of a 9x13 baking dish. Spread cut rhubarb evenly in baking dish. 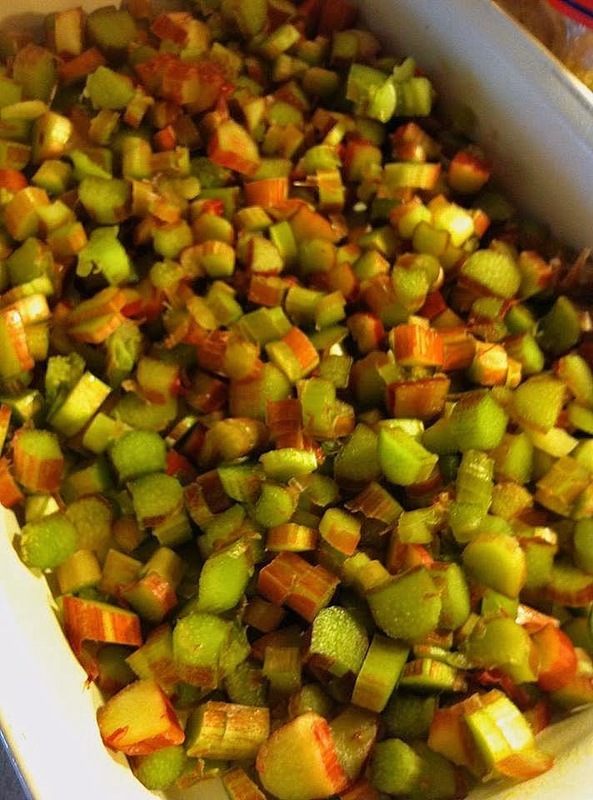 Sprinkle the sugar evenly over the top of the rhubarb. Follow by sprinkling the jello and the cake mix over the top as well. Pour the cup of water over the top as evenly as you can, followed by the butter. Bake for 35-40 minutes, until edges are bubbly and top is browned lightly.